We've all got special places in our lives, towns or villages that continue to mean something to us no matter how many years pass between visits. Places we grew up in, holidayed in, studied in. Aberystwyth in west Wales is one of those places for me. Six years of my life were spent in the seaside town, first as a student, then as a graduate who wouldn't leave. It's where I discovered who I was, met some of my best friends and simply made the most of being young and free (of mortgage, bills and car insurance). It's also the place where a significant part of my library was collected. 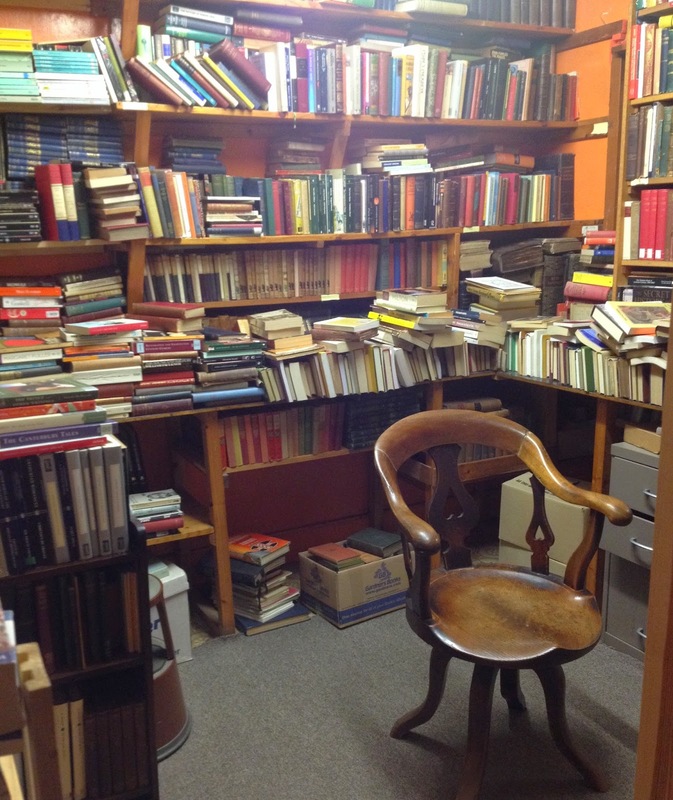 I've already mentioned one destination I frequented for this purpose, which has now sadly passed on to the bookshop heaven in our hearts, but this week I bring happier news of the town - because the secondhand Llyfrau Ystwyth Books is still very much alive and page-turning. We're going back a few years, and owners, but it was the place where I would buy and sell many of my books, safe in the knowledge they were coming from or going to good homes, and a quick chat with the bookseller on this visit revealed the town is no less literary in its tastes and characters than it was in my day (thank goodness). On this subject, I still remember, years back, my joy at finding a novel by one of my lecturers on the shelves at Ystywth Books. I snatched it up, paid, devoured it and then carried it to every creative writing seminar I had with her, never quite brave enough to ask her to sign it because I was so in awe of this brilliant author who lived nearby. But what of the bookshop today? In many ways it's as I remember it from all those years ago: several snug rooms and floors of books, crammed – I'm not exaggerating – with old friends and new finds. Today it somehow feels more ordered, the books slightly easier to locate (although still requiring a good rummage for full bookshop satisfaction). There are some new books and – on request – an extra floor, including a well-stocked Welsh language room. 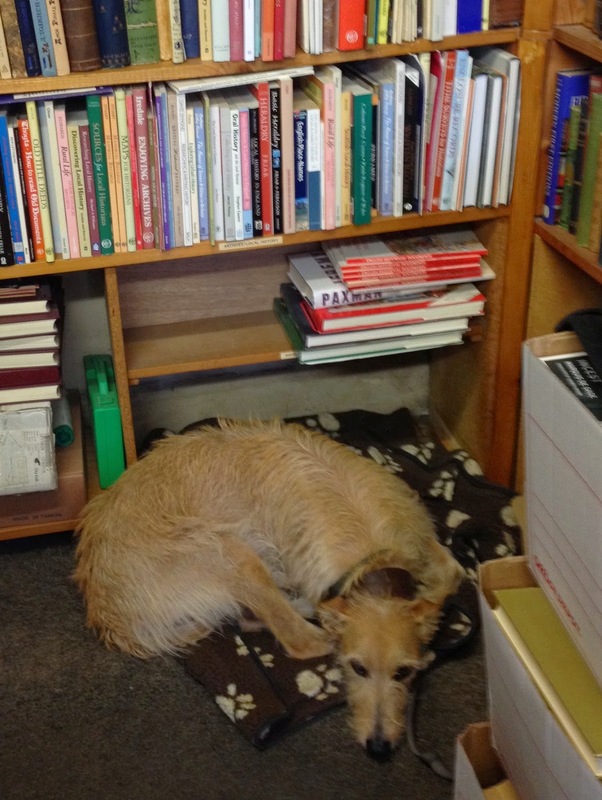 Not forgetting bookshop dog Cassie, the quietest and most unobtrusive 'bookseller' I've ever met (I'm a sucker for a literary hound). The layout remains a big plus for me, with an upstairs that allows you to go round in circles through the rooms, each time noticing something different to the previous revolution. Eventually I slowed to make myself comfortable in the chair in the classics room, reacquainting myself with former course books and remembering the pleasure and pain of their reading. Then I stumbled across something I'd not seen before: Aphra Behn's The Rover and other plays. The one course text I'd failed to locate, this was the book I always pretended to have read during discussions for fear of dropping grades. I had to finally buy it. Making my way back downstairs I got properly talking to the bookseller. Although he hadn't been in the shop during my student days his friendly chatter still brought back memories of happy days of days gone by. Clearly a very knowledgeable man with a passion for his trade, we talked for some time covering a range of topics including my introduction to Drif's Guides (I hope I'm friendlier than Drif), and hearing more about the excellent local book community - upon his reccomendation I visited his 'competitors' later in the day, but more on them another time. 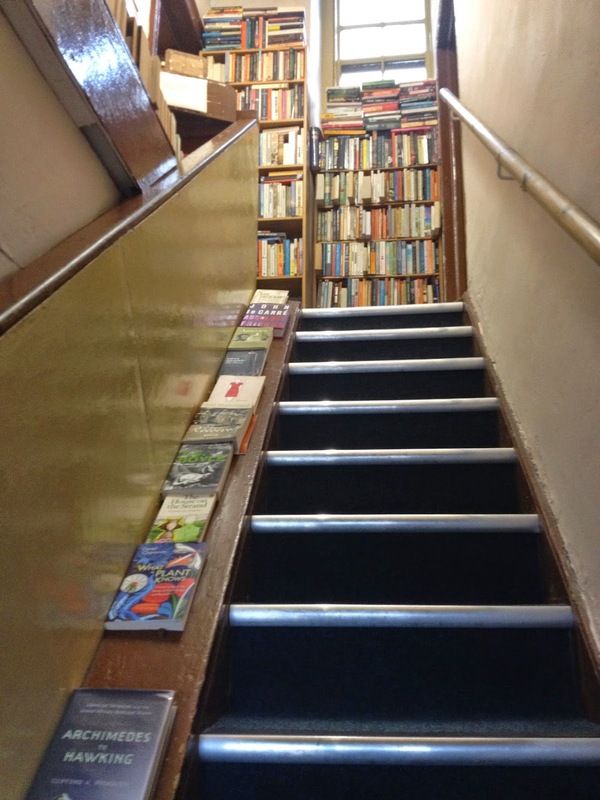 A bookshop may not typically be the first place on a holidaymaker's must-visit list when taking a trip to the Welsh seaside, but for me a trip to Aberystwyth wouldn't be complete without a peek inside the door of Ystwyth Books. It'll always be special to me, and next time you need to escape the rain and find a good holiday read, hopefully you too will realise what a wonderful place it is to rummage in. I've just found this brilliant blog, and am so happy to see that Ystwyth Books is still going strong. I was last in Aberystwyth as a student in the early 1980s and well remember spending hours in there, often when I should have been in lectures. But there's more than one way if getting an education! Reading this has really whetted my appetite for returning to Aberystwyth and calling in on this lovely bookshop. Thank you for your kind comment. I'm pleased to have brought back some happy memories. Ownership of Ystwyth Books will have changed since your memories, but it's still a wonderful bookshop to visit. I have to admit I'm always a little stunned by the changes in Aberystwyth when I return since my own student days, but I'd definitely encourage you to have a visit (and I'd be happy to recommend an excellent B&B). Even with the changes I still feel I'm returning home when I walk along the seafront.